We are the Hartwig family Ty, Aimee, Isabella, Ava and Hunter. We love spending time outdoors whether it’s hunting, fishing, camping or hiking, and we love sharing our outdoor adventures with others. We strongly believe in conservation and the role hunters play in preserving our animal populations and lands for generations to come. We also believe an integral part of this is our continued ability to pass our heritage on to future generations. Our goal is to inspire you to get outdoors, educate on how to do it and entertain you along the way. Follow us on Facebook and Instagram, and for hunts, recipes and tech tips head to our YouTube channel, and if you like it please hit SUBSCRIBE. We’d love your feedback too! 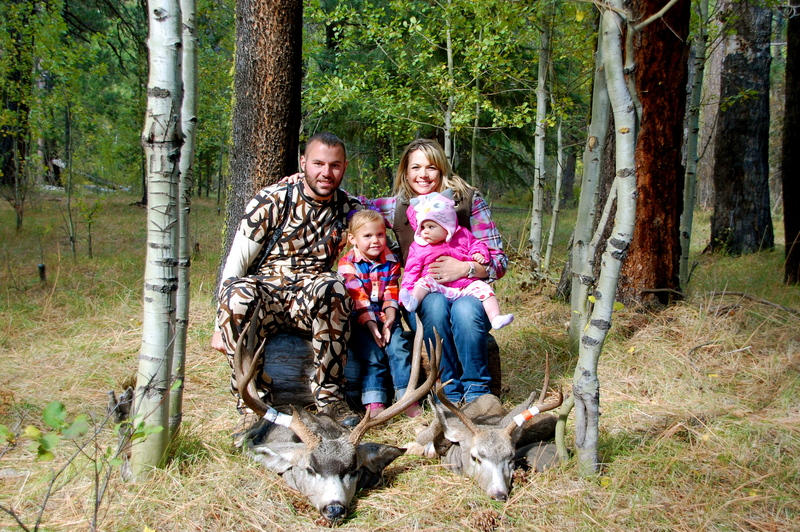 Check out our On the Hunt blog and tell us what you think or leave us a question. Thanks for visiting our page, we hope you enjoy it!